We’ve had a few customers ask us about the difference between our DiSC and other DISC products. It can be confusing, so let’s take a step back and look at the DISC model. Th e DISC model is the foundation from which all DISC-related products are created. 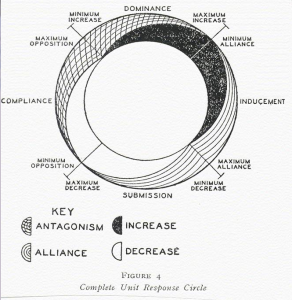 The DISC model was developed by William Moulton Marston but he never created an assessment from it. Nor did he copyright the concept. So several others have taken his model to create their profiles. Now let’s look at two different assessments: Everything DiSC and DISC Insights. I was not able to determine the number or types of questions used by TTI for their DISC Insights profile, although I recall it being a forced ranking questionnaire when I took it a few years ago. Everything DiSC uses computerized adaptive testing with approximately 80 questions scored on 8 scales. Frequently when DiSC and DISC Insights are compared, the DiSC profile referenced is the older DiSC Classic or DiSC Classic 2.0, published by Inscape Publishing (now part of Wiley’s Workplace Learning Solutions). 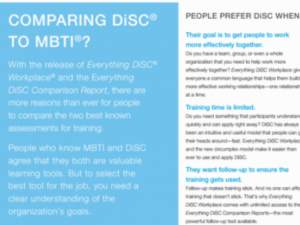 Wiley’s published research shows that their newer Everything DiSC assessment is 32% more accurate than the Classic profiles. Both DiSC Classic and DISC Insights use a graph model. The graph was replaced by the circle and dot model for Everything DiSC after they found it to be more memorable. You’ll notice that Insights attempts to report on one’s natural style and one’s adaptive style. Some people find this useful; others may find it confusing and unsupported by research. 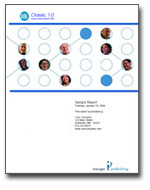 TTI DISC Insights offers a research report. instrument is available on their website. This table reflects their report of Cronbach’s Alpha, a measure of internal reliability of an instrument. Researchers recognize that if all of the survey items on a given scale are in fact measuring the same thing, they should all correlate with each other to some degree. Coefficients above .70 are considered acceptable, and coefficients above .80 are considered very good. Both tables indicate that the instruments have internal reliability. The Everything DiSC research report goes into more details about sample size used for determining this measure. It also discusses the instrument’s construct validity and the ways it was tested. If you really want details, read the Everything DiSC® Manual, a 239-page book on the research and theory behind Everything DiSC. The D, I, S, and C scales for each brand’s assessment are similar, but not interchangeable. If you have taken one instrument, you can’t necessarily know where you’ll fall in the other. For example I am a CD in Everything DiSC, but an Implementor when I took DISC Insights. This naming matters very much. Many of us resist a label and a one-word term can be offensive even if accurate. A set of letters can feel less like a pigeon hole. 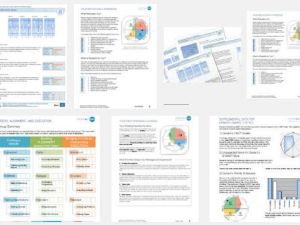 Insights 23-page report features a useful communication checklist, and sections on motivation, managing the individual, areas for improvement, plus action items. The narrative switches between addressing the respondent directly by name, and addressing some unknown coach or manager. The final image of the report is of a wheel with eight sections labeled with an adjective. 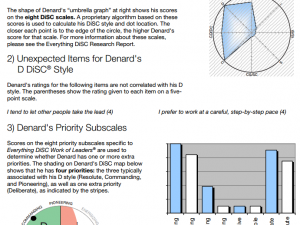 If two individuals have completed an Everything DiSC profile, Comparison Reports are available to compare their styles and look at how they can better work together. We don’t want to tell anyone which tool is best suited to their unique needs. I prefer Everything DiSC to DiSC Classic, but I understand those who really like the least chart —Graph II—Classic’s paper and pencil version. I have taken many assessments and found Everything DiSC challenged me to look more into the styles of others and offered more depth. DISC Insights is visually bright and color-oriented; and it provides a few more shorthand terms for labeling styles. Another important criteria is the support you get from the company you’re purchasing from. Do they offer additional tools? Is there a community of facilitators? Is there training? How transparent are they with their research and development? I think the real power of an assessment is in how it is used. The facilitator can make as much of a difference as the assessment and the facilitator should be comfortable and familiar with the assessment used. If you’ve had experience with various DISC model assessments, we’d love to hear about them. Please share with us.